May I be the first of many to wish you and yours a thrilling New Year! Today marks the third anniversary of The Rooted Gypsy Travel Blog and 2019 looks to be another stellar year. And I want YOU to be a part of it! Do you love discovering those special “off the tourist track” destinations? Do you get excited about exotic and adventurous cuisine? Have a passion for backpacking, traveling with your pet guinea pig, or “volun-touring” to save the wetlands and want to share it with the world? Then I want to help YOU tell YOUR story! You don’t have to be a relentless nomad, posting ungodly numbers of staged, unrealistic Instagram shots to become a Rooted Gypsy, just a regular, everyday Joe who’s put down “roots” but also has a bit of a gypsy soul to blame for their restless need to explore . 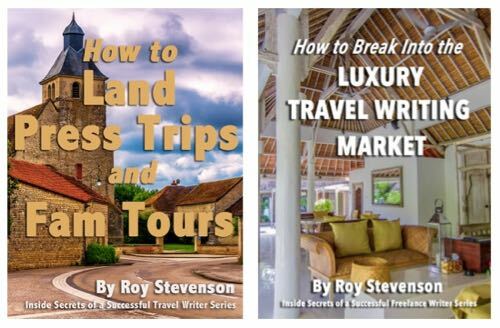 I’m looking for positive, upbeat writers who wish to dip their toes in the world of travel blogging, build their bylines, and/or become better story tellers. I welcome any guest bloggers looking to network and will gladly contribute guest posts for your blog! As much as I love to tell my stories, I get profound gratification from helping others enhance their writing. For those that wish it, I will help you cultivate your creative writing skills to immerse your audience in the story, not just tell them about it. I will give you free reign to develop or use “your voice” when telling your stories. With that said, there are some basic etiquette guidelines, such as no polarizing or political rants and no negative bashing of any person, place, or business. Seriously, we have enough of that mess already! Just know I will proofread and edit each story before it goes live. If you wish to become a regular contributor, you can enjoy your very own “writer’s page” where you can link to your articles, share with others, and promote yourself as a writer much like my writer’s page here. By becoming a regular contributor and helping The Rooted Gypsy reach new heights, I will show you how to partner with DMO’s and CVBs (more on that below). I’ve always believed in quality over quantity. Hence the reason a single, well-constructed newsletter goes out every month instead of numerous emails clogging inboxes with a bunch of “fluff.” However, depending on how many writers wish to contribute and collaborate, we may bump up the number of posts sent out monthly. Over the past two years, The Rooted Gypsy has experienced steady authentic audience growth, but 2019 looks to be a record-breaking year! My goal this year is to triple the number of subscribers. While The Rooted Gypsy isn’t yet monetized (meaning no money is made from this blog), I hope to, with your help, change that so that you as writers, partners, and collaborators can get paid for your articles and use as The Rooted Gypsy as leverage for travel (to learn more on that, click here). By providing quality articles, growing the audience, and partnering with brands, the goal remains to build The Rooted Gypsy so that Destination Marketing Organizations (DMOs) and Convention & Visitor Bureaus (CVBs) honor TRG as a respectable media outlet. To understand how we as travel writers can partner with DMOs and CVBs, please read on here. If you are interested in collaborating with me, please don’t hesitate to reach out to me at jessie@therootedgypsy.com. Know someone else keen to give blogging a go? Please share this post with them! Sharing is caring! I look forward to working with you in the coming new year!